I’m not a huge makeup girl as you can probably tell, but I do have the odd face and tubs of skin cream around. I may forget to use it most days but I try! 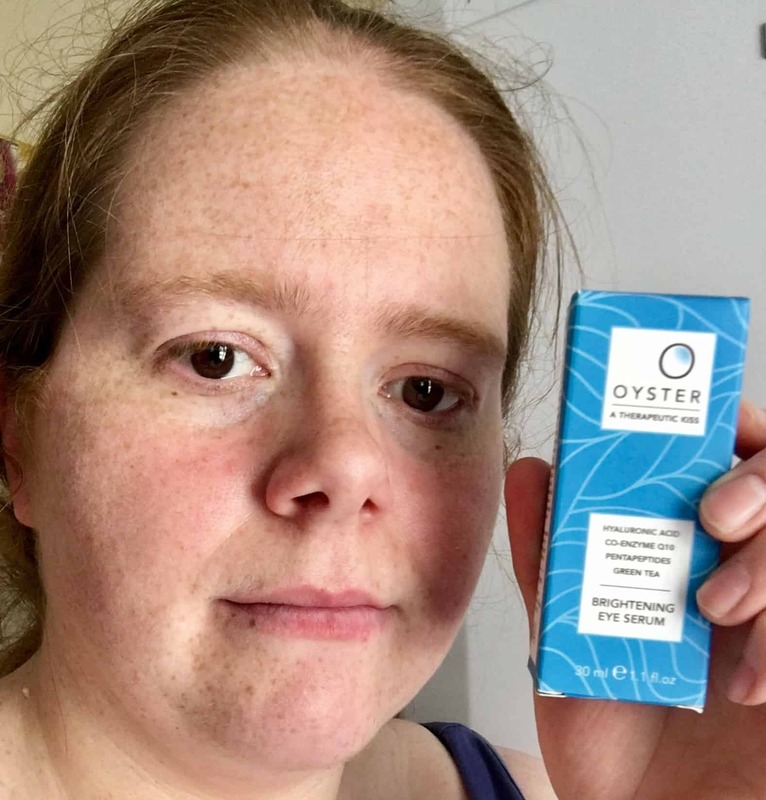 When I was asked to try out this Oyster Skincare Brightening Eye Serum I thought it wouldn’t hurt to give it a go. Maybe it will help to remove the bags from around my tired eyes. It might even give me one of those fresh face looks! With work. moving house, baby girl and other things going on at the moment my poor eyes need some attention. Tired is an understatement! The eye Serum is formulated to be wrinkle-reducing (crow’s feet), anti-aging, reduce puffiness and black circles, a soothing eye gel to refresh weary eyes and brighten the skin around them. Wow that’s a lot for one little 30 ml eye serum! When I took the eye serum out of the box the first thing that hit me was the smell, very medicinal I thought then you get the hit of lavender, grapefruit and mandarin. It is strong but not unpleasant. The instructions on the box asks you to apply morning and night onto clean skin. You dispense a small droplet from the little pump onto your middle finger and break the droplet with another finger. Next you cup your hands and inhale the aroma from the essential oils. Gently pat a small amount of serum under each eye and along the brow bone, careful not to get into the eyes. I found this a bit strange for the first few times, inhaling the aroma, but it’s easy to do then apply. The smell is relaxing as well so perfect for bedtime. I’m hoping after using this for a while it will help to brighten up my eyes. It doesn’t leave a greasy residue on your skin either. 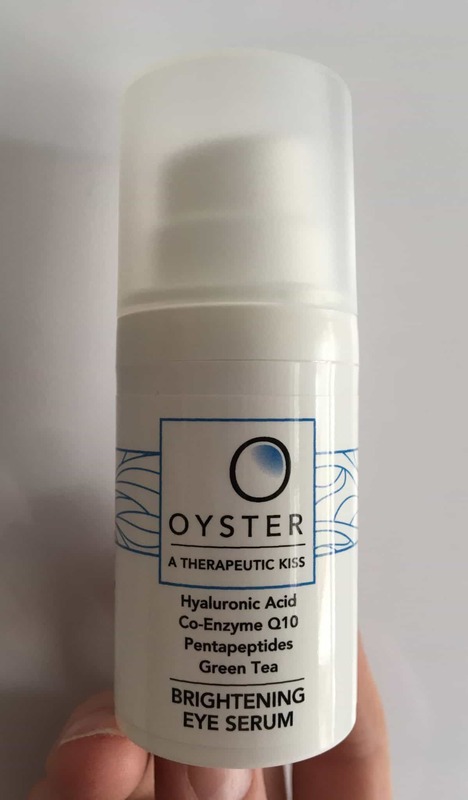 There is one Oyster Skincare Brightening Eye Serum to giveaway, so you can try it out for yourself! Open to UK residents only. The prize will be arranged by Review Directory, to enter please fill in the Gleam widget below. Remember the more options you complete the better your chances of winning! 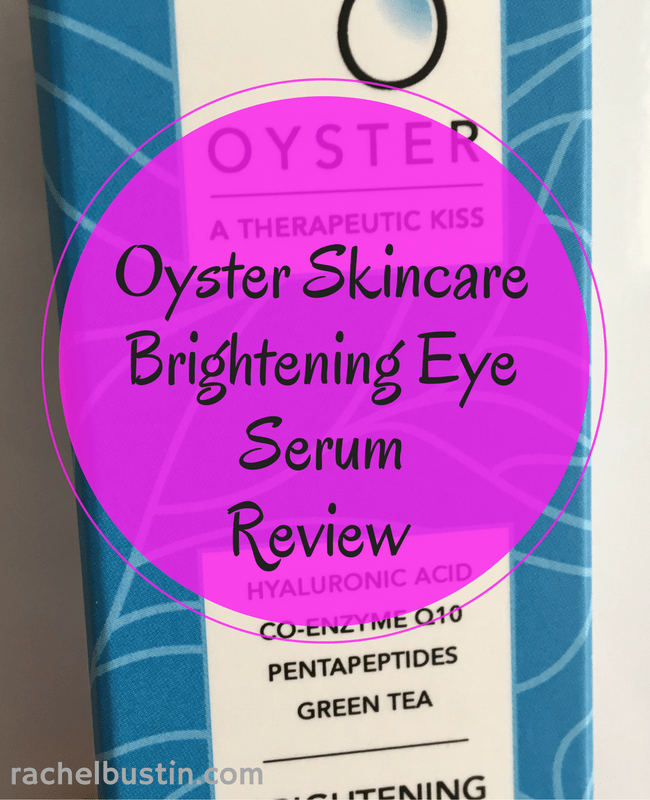 *I received the Oyster Skincare Brightening Eye Serum in exchange for this review. All thoughts and opinions are my own as always. This post contains affiliate links.